27 x 27 inches. 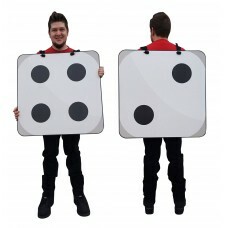 Our cardboard cutout of 2D Dice Costume . All cardboard cutouts come folded and have..
Head Hole: 11in, Arm Holes: 10in wide, 23in Cube. 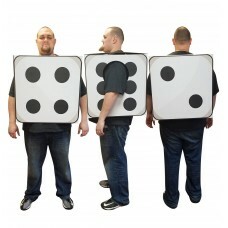 Our cardboard cutout of 3D Dice Costume . All card..
27 x 27 inches. 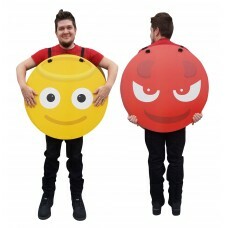 Our cardboard cutout of Angel/Devil Emoji Costume . All cardboard cutouts come folde..
24 x 31 inches. 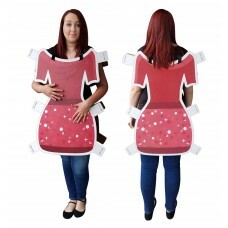 Our cardboard cutout of Dress Paper Doll Costume . All cardboard cutouts come folded..
27 x 27 inches. 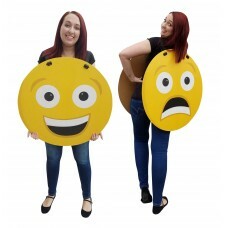 Our cardboard cutout of Happy/Sad Emoji Costume . All cardboard cutouts come folded ..
28 x 30 inches. 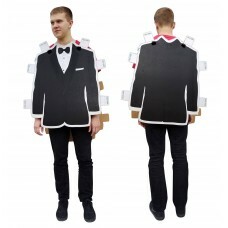 Our cardboard cutout of Tuxedo Paper Doll Costume . All cardboard cutouts come folde..